My favorite season is here! 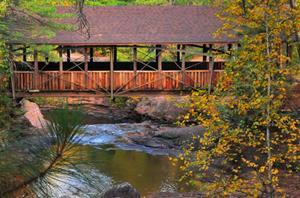 With it's fleeting vibrant colors and musky smells, I love Fall more than any other season. Gone is the heat and humidity of Summer, and being able to enjoy warm sunny days and cool crisp quiet evenings, is what Fall is about. 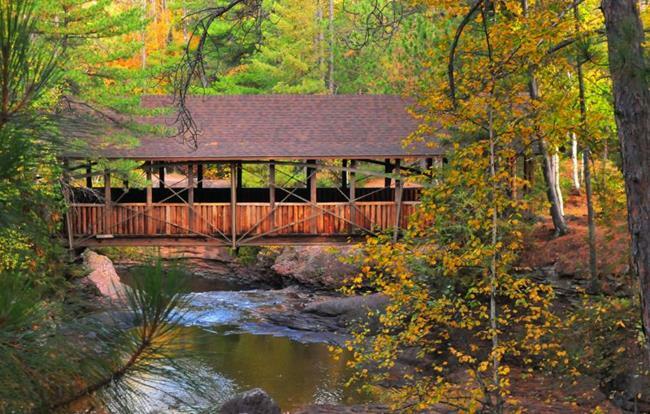 One of my favorite neighborhood haunts year round is Amnicon Falls State Park. 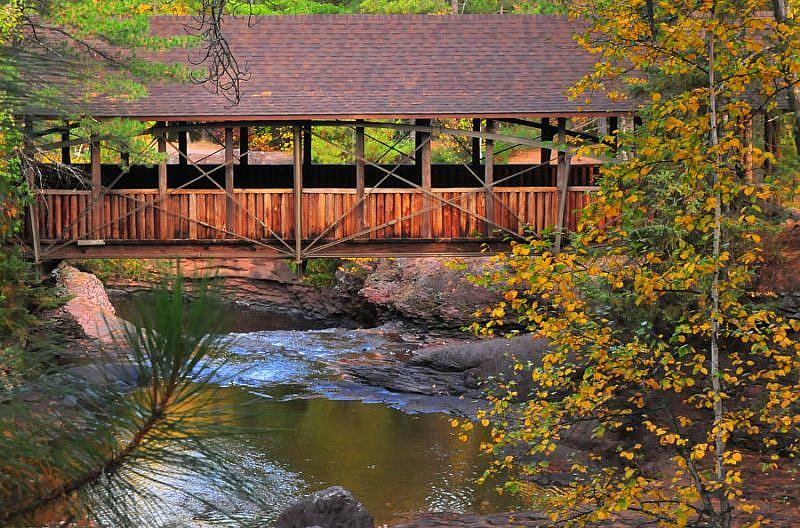 The star attraction of the park is this beautiful covered bridge that takes you from the mainland to a beautiful island surrounded by the the Amnicon River, which splits in two above this bridge. There is a series of waterfalls surrounding the entire island, making this a magical place to visit. I arrived at the park bright and early this morning, just after sunrise, so that I could photograph this peak leaf color scene during the "golden hour", when lighting is at it's absolute finest.